We’ve compiled a list of questions we get asked most often. To jump to the section you’re interested in, click on one of the links below. Still not finding the answer you’re looking for? Contact us directly and we will get back to you as soon as possible. What should I carry in my hydration pack? • 2 tubes: 26, 27.5 and 29 tube - I carry 2 different sizes in case someone needs one. Is there any pre-ride checklist you do before you ride? Do I need to get a tune-up on your bike before my clinic? • We recommend a bike tune-up at least 2-3 weeks, before your clinic, from a certified mechanic. • Make sure tires aren’t flat, chain isn’t rusted, all gears shift properly and brakes are working! This will make your experience more enjoyable! What do I bring to my clinic or camp? Download the What to Bring List! How do I sign up for Sundance Midwest Women's MTB Camp? • It will sell out quickly! • Once your registration goes through, you will be emailed confirming your spot in the clinic. How do I find out about camps and clinics? • Email us Sally@SundanceMTBSkillsClinic.com, so we can add you to our email campaign. • Here at our website! We accept dairy, gluten-free and vegetarian requests, but not combinations of multiple dietary requests. Unfortunately due to logistics we can cannot accommodate other requests. If we cannot meet your dietary needs, please feel free to bring along your own lunch. • If the clinic or camp you wanted to attend is full, contact us to be put on the wait list. • First in line will be emailed/called with 4 hours to complete our registration. What kinds of camps and clinics do you have? We offer Private 1 on 1 Clinics, Small Personal Clinics, 1 Day Group Clinics, or 2 ½ Day Camps. • We can customize a clinic or camp for all ages. Can I attend the Sundance Midwest Women's Mountain Bike Camp or Sundance Midwest Men's Mountain Bike Camp if I’m under the age of 18? • We have a minimum age limit due to long days 9 am to 4pm; practicing skills, trail rides, and educational theory. • We have made exceptions in the past. If you think you’d like us to make this exception for you, please contact us. We will do our best to make your day! Note: If you are under 18 years old, you will need to have a parent or legal guardian accompanying you at registration. How do I make a reservation for your Private 1 on 1 Clinic, Group Clinic, Retreat? Contact us here!, We will reserve your Private 1 on 1 Clinic, Group Clinic, Retreat or Customized Camp! Do I need to sign a waiver for my clinic, camp, ride, retreat or trip? Yes, If you are under 18 years old, you will need to have a parent or legal guardian accompanying you at registration. Mountain Biking/Road Cycling/Trail Riding/Riding a bike in general is a dangerous activity or sport. There are risks involved. When you register for our clinics, camps or rides; you are agreeing to our waiver. Weather / What if it rains? • Unfortunately, we cannot control the weather, but if lemons arrive, we make LEMONADE! • Our clinics and camps will go on snow, rain or shine! • Participants have said they loved playing in the rain, it made them feel young again, and once the skill sessions started, they forgot it was raining! • Bring appropriate rain gear so that you’re warm, dry, and comfortable. Is there camping at the Sundance Midwest Women's Mountain Bike Camp? • Yes! We reserved the RALLY Campground for our participants, coaches and volunteers with tents, campers and RVs on June 7-9, 2019. • It is first com/first serve for camping spots. There are a limited number of trees for hanging hammocks. • We ask everyone to be considerate of others and abide by BCSP campground rules. • Rally Campground has no electric, water or sewer hook-ups. Water and showers are close by. • Camping in BCSP's campground is just a hundred feet away which will be at the participant’s expense, which has water and electric sites. Do I need to sign up online or can I sign up the day of the clinic or camp? All of our events SELL OUT! Onsite registration is not available. Please register online in order to guarantee your spot. Yes, we love our volunteers! We really appreciate your help, smile and added inspirational support for all our participants! Are your clinics taught by women and men? Yes, our team of experienced and certified coaches will make your experience memorable! Safety is #1 one goal! What are your ratios of participants to coaches? (7-1) 7 participants to 1 coach ratio. Can I tip my coach? We do not expect a tip. We want your experience to be exceptional! If someone wants to tip their coach, they would appreciate the gesture. Have you ever played golf, tennis, skied or snowboarded? Have you ever taken a lesson to learn any of those sports? We take lessons for those kinds of sports but, when it comes to bicycling we us that common phrase… “Oh it’s just like riding a bike”. I don’t know about you, but if I am standing on the top of a mountain with my skis pointed down, I better know how to turn! Lessons teach proper technique, how to hold a racket or swing a club along with a weekly lesson, but flying down a hill on a road bike at 45 mph or riding a mountain bike on trails…. we don’t think of taking a lesson. • "Wow! You given me a bag of tricks I can use while riding any bike!" • "I am so relaxed on my bike now." • "Why doesn’t everyone take a lesson? Your clinics are life changing!" • "You have helped me take 2 minutes off my lap times!" • "I can do a wheelie!" • "I am 73 years old and I learned how to ride through corners!" • "I have a whole new group of friends to ride with!" • "Now, I feel confident!" • "You have given me back my childhood!" • "Living life after one of your clinics made everything seem easier! I am more positive! I have more friends! When a task gets hard in life...I say to myself, if I can ride through that rock garden; that proposal at work is just easy now!" • "Climbing a mountain with positive words in my head, is so rewarding!" • "Positive thoughts have taken over my mind!" • "I love that I can ride through tight switchbacks!" • "I dream about biking everywhere!" • "My mom rides with me now because of your clinics!" • "I am 80 years old, I feel like a kid! Why didn't I start sooner?" • "You've given me a new relationship with my husband, I feel like we are dating again! Thank you!" Who are your clinics geared towards? Everyone! Whether you are a beginner, intermediate, advanced, or pro, we can refine your skills! How will I know which level or group I should be in? When you register online, you will fill-out our extensive skill assessment form. I haven't been on a bike in years and I am horribly out of shape. Can I still do this clinic? Yes! Even if you have not been on a bike in years, you can still participate in this clinic. The beginner groups are a great way to get back on the bike or give mountain biking your first try. Instructors will teach you basic handling and shifting and drills on the pavement will give you the chance to get comfortable on the bike. Please keep in mind this can be a long , physically demanding day. While we do recommend some level of physical fitness, you know your body better than anyone. Furthermore, please consult with your doctor. I just bought a mountain bike, is this camp for me? Yes! You will feel confident with our energetic coaches along with a group of encouraging new friends plus, have a new bond with the friends you brought with you. Are you looking for inspiration to ride again? If this is you, join us! • I want to be inspired. • I need little victories in my life. • I want to create a new me. • I am looking for camaraderie, balance, laughs and strength! • I want to try something new! • I want to make new friends! • I want to feel like a kid again! I feel I am an advanced rider. Will I find this clinic helpful? Yes! Our camp builds upon a foundation of rock-solid fundamental skills. After your skills assessment, you will be placed with a certified instructor who will build upon your advanced skills and take your riding to another level, increase speed, lock in technique, refine skills and challenge you with homework to develop a new way of getting more confident and versatile on your bike. What are Sundance Skills and Maneuvers? What can I learn in your clinics? Our 4-step program starts with a rock-solid Level 101 foundation and progresses to Level 401. We teach the fundamental skills from the ground up in a safe progressive, building block manner. Each fundamental skill is a progression to the next maneuver you wish to master on your bike. Our program will take your riding skills— literally, up in the air! • Speed - Speed Comes with Skills!!! • Trail Playfulness - Approach it like a kid! Do we have access to demo bikes and gear? We will do our best to fulfill requests. We do have a limited selection of bikes and gear. We will try our best to accommodate everyone. (Note: Too close to camp date, may be challenging.) We have partnering bike shops who have bike rentals. You will be responsible for the bike and fees. 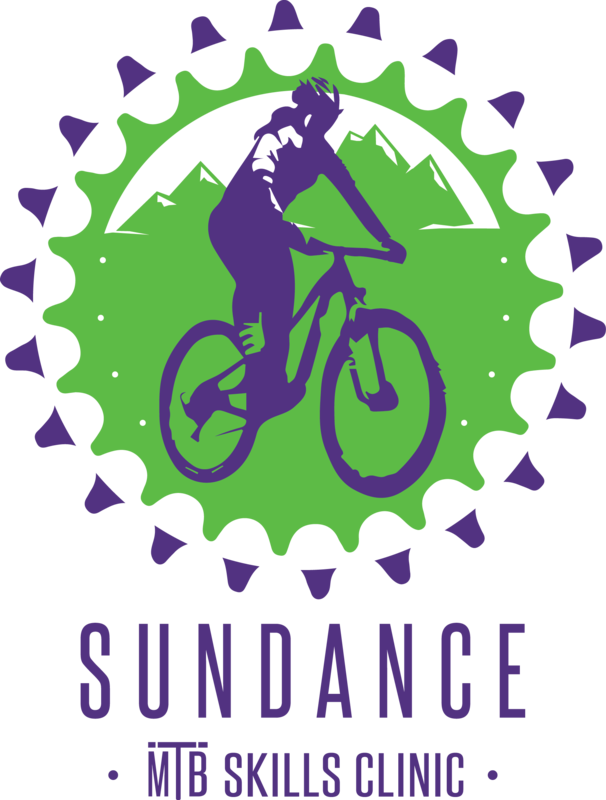 How do I order Sundance MTB merchandise? Visit our Sundance MTB Store! • Cancellations received more than 14 days before the event will receive a full refund, minus a $50 administration fee. • Cancellations received 7 to 13 days before the event will receive a 50% refund. • Cancellations received 6 or fewer days before the event or a "no show" at the event will not be eligible for a refund. • Registrations are transferable ONLY if the new entry is for the same skill level as the original registration at the same event. Please note: Unfortunately, the above applies in cases of weather, injury and emergency. In fact, a large percentage of our cancellations result from these three causes, and often happen in time frames that don't allow us to adjust our plans or fill the associated spots. How do I acquire a trail map? What are the rules of the trail? Rules of the Trail: Compliments of IMBA https://www.imba.com/about/rules-trail IMBA developed the "Rules of the Trail" to promote responsible and courteous conduct on shared-use trails. Keep in mind that conventions for yielding and passing may vary in different locations, or with traffic conditions. Do I need to become a member of my local IMBA mountain bike organization? I highly recommend becoming a member of your local IMBA chapter. It helps build more trails! I find when I travel for more trails across the country, I meet amazing new friends from IMBA chapters that enhance my life! Trail building days are so rewarding! Those trails will exist when we’re old and gray and we can say, we helped build something that will be there for someone else to enjoy.